Ball-Pythons.net - Cape Fear Constrictors brings us the “real” face-off between these two hotly debated, much discussed, and greatly admired ball python morphs. Ball-Pythons.net - Here’s a lively discussion/debate about the future market prices of this much-talked-about ball python morph. Banana or Coral Glow Ball Python? 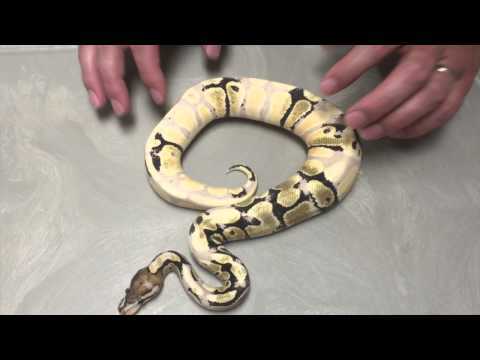 On the Web - xyzReptiles takes a quick look at the history and pricing of the Banana ball python, as well as the Coral Glow. Watch for weekly blog entries at xyzReptiles! Bush League Breeders Club - Some very nice pictures of some bright and beautiful ball pythons, by Jason Amos.